Thanks to our friends at Cobra Puma, we are giving you the chance to start your year in style with a new pair of shoes. 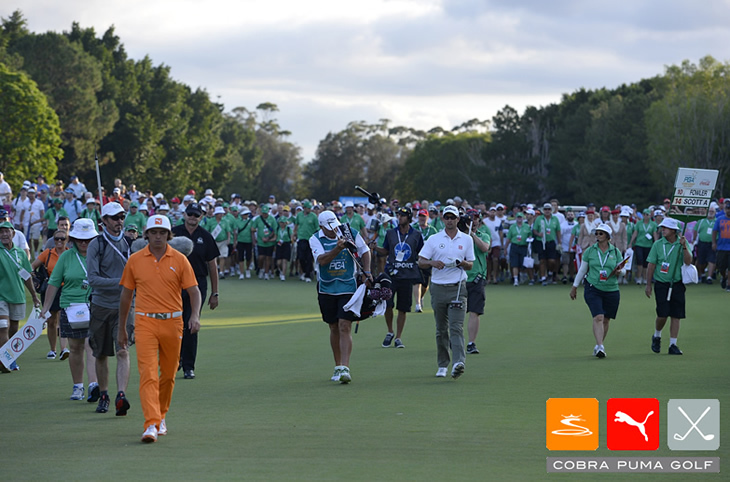 Just caption this photo of Cobra Puma's Rickie Fowler alongside Adam Scott and the one that makes us laugh the most will win a pair of Puma Monolite golf shoes. When I said follow me at the press conference, I meant on twitter!